14 East Presents: How to Vote ..
DePaul Women's Basketball is G..
What was once expected to be a billionaire blowout has given way to a surprisingly competitive three-way race in the Democratic primary for Illinois governor. J.B. Pritzker, long-time Democratic fundraiser and billionaire heir to the Hyatt hotel chain fortune, has been considered a shoe-in for the nomination since he launched his campaign last April. 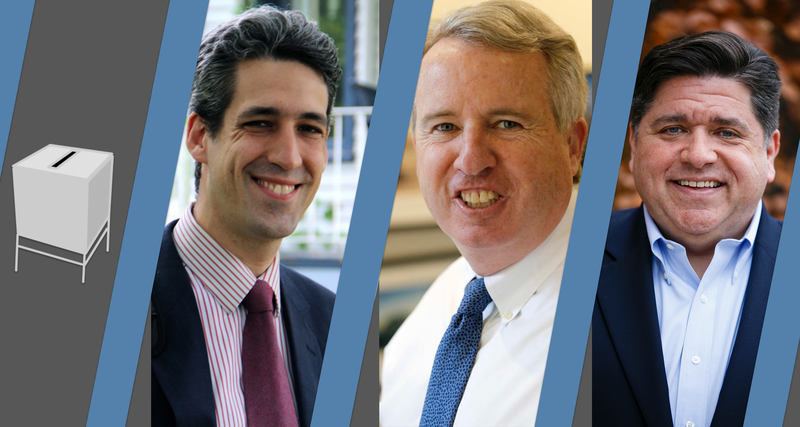 But in the race’s final months, a series of missteps coupled with what some have termed “media clog” have left the billionaire vulnerable to two so-called “insurgent” candidates: Daniel Biss, a state senator from Evanston, and Chris Kennedy, a Winnetka-area businessman and former president of Chicago’s Merchandise Mart. The latest polls have kept Pritzker in place as the front-runner, but his lead has shriveled significantly: a poll from Southern Illinois University has Pritzker at 31 percent, state Biss with 21 percent and Kennedy with 17 percent. Other polls have shown Kennedy climbing and Biss in retreat. However, with just days until the primary election, over a quarter of Democrats are still undecided. As far as we’re concerned, the Democratic nomination is a toss-up. Policy-wise, the main Democratic contenders are more-or-less identical. All three support moving towards a more socialized health care system — either some variation of single payer or the public option, broadly dubbed as “Medicare for All” by some activists. Pritzker, Biss and (after some early confusion) Kennedy all support the legalization of marijuana in Illinois. The true differences lie in their backgrounds: Pritzker and Kennedy are both successful businessmen characterized by their respective billions or millions, while Biss has sold himself as the race’s “middle-class governor” with his duplex home and meager state salary. At the same time, Pritzker and Biss are arguably both political insiders compared to Kennedy: Biss’s recent history in Springfield and Pritzker’s decades spent raising money for both the Illinois state and national Democratic Party make them both savvy but liable in a time of political upheaval, while Kennedy remains a true outsider — with all the bumps and bruises that have come along with his inexperience. Photo: COD Newsroom. CC 2.0 License. Graphic by Cody Corrall, 14 East. Despite the abysmal reviews from his first term in office, Governor Bruce Rauner was largely expected to sail through the primaries with ease. Incumbents rarely experience credible challenges from their own party, particularly at the executive level. But Rauner didn’t count on Jeanne Ives — a Wheaton-based state representative who has attacked the sitting governor relentlessly from the right, challenging him on everything from reproductive rights, sanctuary laws for undocumented immigrants and property taxes. Once considered a long-shot, Ives got a boost after a savage showing during the Republican primary’s only debate, hosted by the Chicago Tribune last January. 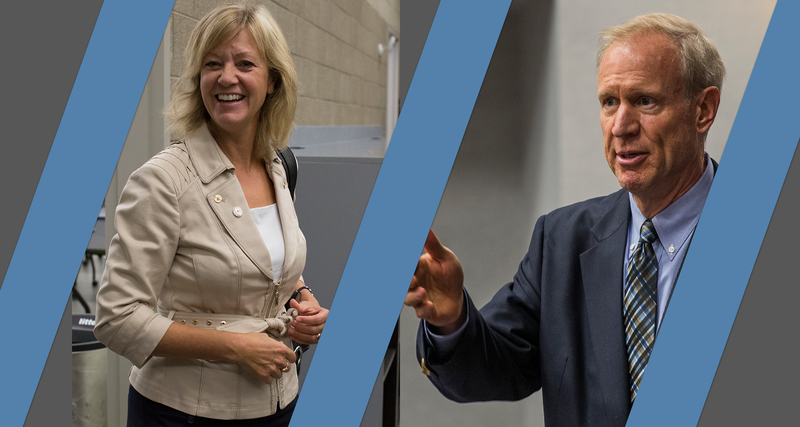 Ives practically ran circles around Rauner in a conference room inside Tribune Tower, accusing him of “lying to the Cardinal” and allowing his wife, Diana Rauner, to set a “socially progressive agenda from [in] a state that is broke.” Political commentators roundly considered the debate, live-streamed to social media, as a resounding win for Ives. Less than a week afterwards, however, Ives’ campaign released an ad that was blasted for its homophobia, racism and sexism. Still, Rauner’s unpopularity can’t be underestimated. Ives is a longshot, but we can’t rule out a surprise surge from her on March 20. Described by The Intercept as “the very heart of the Chicago Democratic machine,” Cook County Assessor Joseph Berrios has come under intense scrutiny following a series of investigations co-published by ProPublica Illinois and the Chicago Tribune. Long story short, the investigations found that the system under Berrios was an outdated, error-ridden mess that hurt taxpayers and benefited property tax lawyers in Illinois. Enter Frederick “Fritz” Kaegi, a reform-minded candidate running to unseat Berrios with a pretty darn good shot at it. Both the Chicago Tribune and Chicago Sun-Times have endorsed Kaegi, a Hyde Park financial analyst who has promised to completely remake the Cook County property tax system. Property taxes might sound mundane, but the opposite is true: as a state on the brink of financial ruin, Illinois has come to rely heavily on revenues from property taxes for its annual budget and, as a result, out-dated evaluations can have a substantial effect on everyday homeowners and citizens across the Land of Lincoln. Photos: NARAL Pro Choice America . CC 2.0 License. Graphic by Cody Corrall, 14 East. Another long-time Democrat, Congressman Dan Lipinski has come under fire from all sides ahead of the 2018 race. Since his first election in 2005, Lipinski has often ranked more conservatively compared to your average rank-and-file Democrat, voting against abortion, the Affordable Health Care Act, and the DREAM Act. This year, that’s come back to bite him. 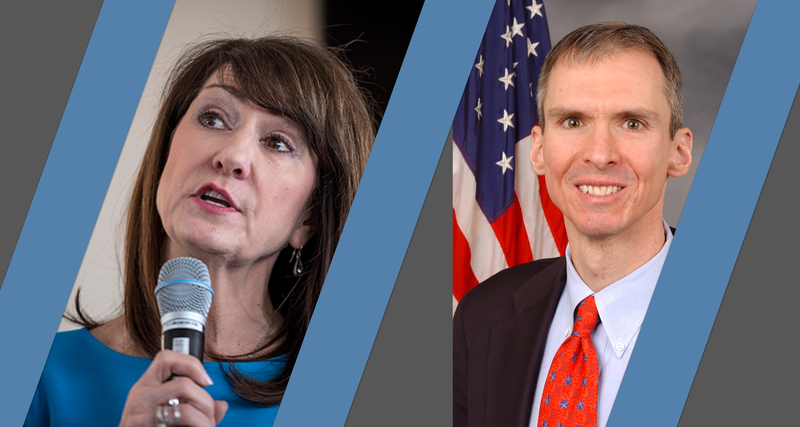 Marie Newman, a businesswoman and former marketing consultant, and her attacks from the left have left Lipinski battered and bleeding — he’s lost several key endorsements, including from the national Democratic party. Newman, in the meantime, has netted the support of high-profile legislators such as Bernie Sanders as well as from several powerful progressive groups like MoveOn.org and the Human Rights campaign. The primary is the race to watch as far as this seat goes: whoever comes away with more votes on March 20 will face Arthur Jones, the Holocaust-denying former leader of the American Nazi Party who managed to get onto the Republican primary ballot unopposed. Latest polls have Lipinski and Newman in a dead-heat as election day comes barreling down, so keep an eye on this one. Photo: Rev Dills. CC 2.0 License. Graphic by Cody Corrall, 14 East. 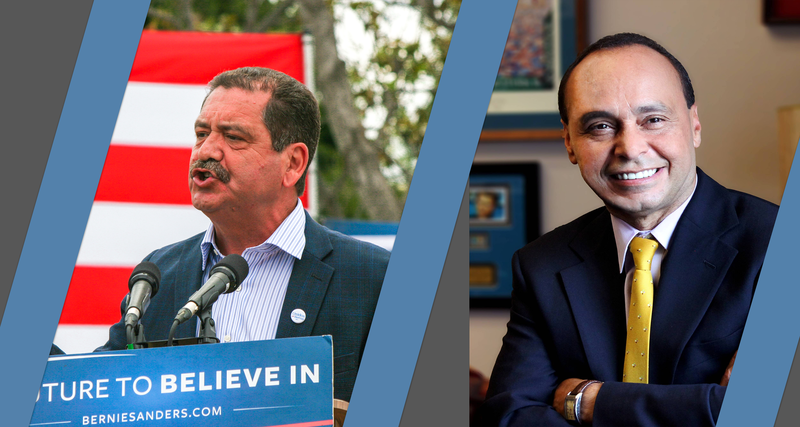 Dubbed a “Race to Replace,” Cook County Commissioner Jesus “Chuy” Garcia has emerged as the front-runner to take over for his long-time ally Congressional Rep. Luis Gutierrez. After Alderman Raymond Lopez dropped out of the race in January, the field looked like it was clear for Garcia, who pushed Mayor Rahm Emanuel to a runoff election in the 2015 Chicago elections. At the same time, however, political amatuer Sol Flores has emerged as a credible challenge to “Chuy’s” federal run. Public polling has been scant, so keep an eye on this race on election night. Photos: Kurman Communications, Inc., Chris Eaves, Erin Klee. CC 2.0 License. Graphic by Cody Corrall, 14 East. Illinois has a problem: with a deeply Democratic local government pitted against a deeply Republican national one, the state is vulnerable to federal funding cuts — something touted by President Donald Trump since he took office. After the Justice Department sued the state of California for its sanctuary laws last week, it’s not hard to imagine an Illinois-aimed follow up, which makes the state’s Attorney General more important than ever. 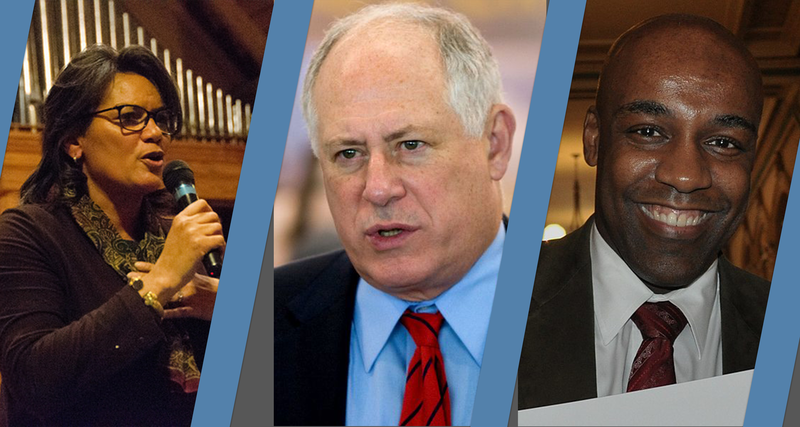 Illinois has another problem: a crowded field of contestants vying to fill the shoes of former AG Lisa Madigan has made it difficult to keep faces straight. The two main contenders in the race so far have been state Sen. Kwame Raoul and former Illinois Gov. Pat Quinn: a poll from Southern Illinois University has Raoul leading the field at 22 percent, while Quinn isn’t far behind with 18. But, as the Tribune argues, Quinn’s superior name recognition could carry the day. It’s also worth mentioning newspaper endorsements: despite the size of the field and the political caliber of its frontrunners, both the Chicago Sun-Times and Tribune endorsed Sharon Fairley — former head of the Civilian Office of Police Accountability, she was appointed by Mayor Emanuel in the wake of the Laquan McDonald shooting in 2015. Header graphic by Cody Corrall.